With its 16-valves, dual-overhead cams, VVT-i (variable valve timing with intelligence), and an output of 106 hp and 103 lb/ft of torque (give or take a couple depending on the year and application), the venerable Toyota 1NZ-FE engine made its debut in the 2000 Echo in the U.S. At the time, there weren't a whole lot of engines under 1.6 liters, with the exception of the Chevrolet Metro, Ford Aspire, Honda Insight hybrid, Hyundai Accent, and Kia Rio. But let's face it: That was nearly 16 years ago. Yet it's still for sale with few changes. Why does Toyota still use it? Cost. Reliability. Efficiency. But this stoic little engine is more than just that. Let's look at some more history, shall we? The 1NZ-FE-powered Echo was built from 2000 to 2005 and used in a host of other vehicles in Japan and Asia. In 2004, two other 1NZ-FE-powered cars sprung up: the boxy Scion xB and wedge-shaped Scion xA. While not powerhouses, they didn't require much momentum to get moving, and the 1NZ-FE was a fine engine choice. Plus, these cars had relatively short gearing to compensate for the lower power, courtesy of a five-speed manual or four-speed automatic. These cars were discontinued after MY2006, but that wasn't the end of this engine. In 2006, the 1NZ-FE appeared under the hood of the Toyota Yaris in Canada and 2007 in the U.S. And yes, it has resided there ever since—and still soldiers on in the 2016 Yaris. This mill has received only a few tweaks since its introduction in 2000, such as a revised fly-by-wire throttle. But really, the engine is quite simple, it's extremely reliable, durable, and still delivers fuel economy on par with newer engines. Plus, since Toyota has generally kept vehicles, such as the Yaris/Vitz, fairly light weight, there hasn't been much of a need to bump up to something like the 1.8-liter 2ZR-FE that's found in the Scion xD and Corolla. (Toyota did offer a 2ZR-FE-powered Yaris in other parts of the world as the Yaris T-Sport.) There's no fancy valve lift, there's no modern direct injection. No turbocharging. It's an honest, simple engine. But it's also being used by some unlikely people: Racers. 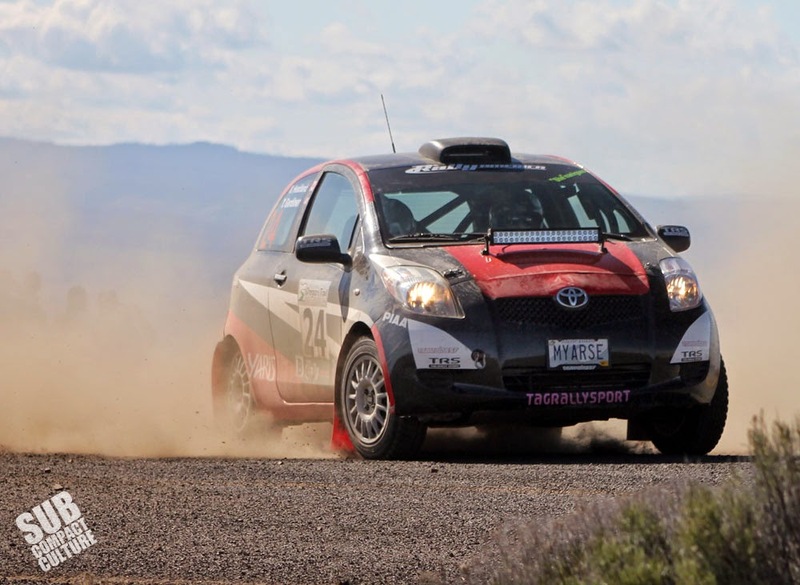 Tag Rally Sport Toyota Yaris rally car from the 2015 Oregon Trail rally. 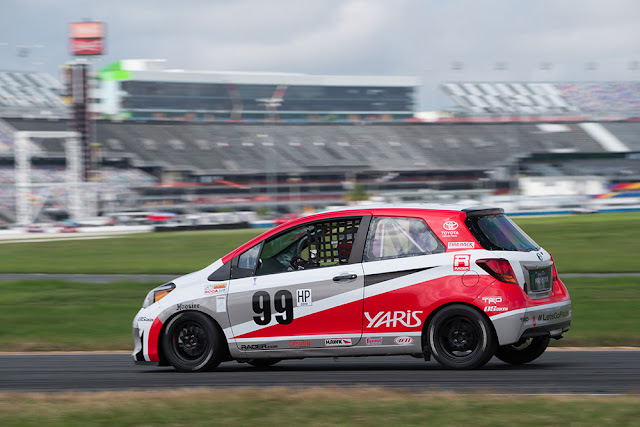 Though some may call it dated, the engine still powers race cars around the world, including Yaris/Vits cup cars, the Tag Rally Sport Yaris rally car and Jason Isley's Pacific Coast Road Racing Championship-winning 2015 Yaris race car. We talked to Jason a bit about his experience running the 1NZ-FE engine in a modern race car. "We have found the 1NZ-FE to be a great platform for the Yaris, and not just because the SCCA H Production class rules require we use it. It's durable and responds very favorably to tuning," said Jason. Jason remarks that the car is tuned very conservatively from the factory, but with just a piggyback ECU, you can unlock more power than most bolt-on mods combined. He reassured me that there's a lot of room left in the fuel and ignition programming, and the car can take a good bit more than the stock rev limit allows for. In fact, they've been running their 1NZ-FE up to 7,500 RPM for years without issue. He also mentioned they'ed been working with Jesse Prather Motorsports, who helped to build an engine for the 2015 Runoffs at Daytona. "We weren't specifically looking for more power ... but needed the engine to take 8,500–9,000 RPM due to gearing limitations," he said. Jason had custom pistons made and upgraded the valve springs to take the extra revs. They did find the OE intake system (which they are required to use for H Production class vehicles) wouldn't build power over 7,800 RPM. It'd still spin 9,000 RPM on the dyno and held up at a sustained 8,600 RPM blasts at Daytona. "Without class specific rules, the 1NZ-FE has some real potential." And don't just take Jason's word for it. But with increasingly efficient and tech-heavy small engines featuring more power and fuel economy, how long can the 1NZ-FE survive in the competitive subcompact market? If I had to guess, probably not too much longer. I'd say the engine will bow out of the lineup when the next generation Yaris debuts (2017?). But who knows? Maybe it'll keep going and going and going. If not in North America, perhaps in other markets. Maybe the 1NZ-FE gets a bad rap because of its age, its dated five-speed manual and four-speed automatic transmissions, and because it doesn't have a turbocharger, direct injection, variable lift, or other modern engine accouterments. But has anyone ever thought that maybe it doesn't need them? If the engine is serving its purpose and its niche, then why change it? Toyota generally runs its engine families for quite a long time, and the 1NZ-FE exemplifies that. Thankfully, it's a good little mill that's up to a number of tasks.They're cheap to maintain, run forever, are fairly responsive, and as we've seen, can be heavily modified. Maybe this engine is destined to be a classic Toyota powerplant like the 4AG-E or the 3-TC. 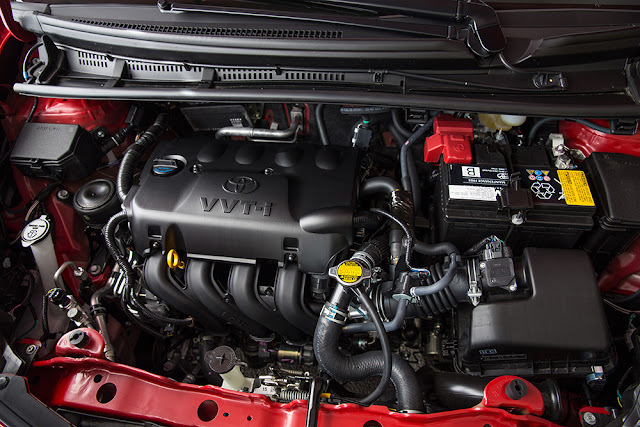 Regardless, it's here, it's reliable, and it's thrifty—a perfect powerplant for small Toyotas. I wonder if they every fixed the throttle lag. I drove a 2007 Yaris for about 4 months. It was a fun blast. I was surprised at how well it handled, given that A) this car was originally not intended to be a handling car & B) I'm coming from a Miata. My only gripe was the throttle lag. Man! It was awful. Whenever I would step on the gas, it was like there was some kind of messenger service that had to run back & forth to get permission or something. It would go something like this. I would hit the gas, the gas pedal would ask for permission from the ECU, the ECU would think about it for a minute, then it would relay the message back to the pedal stating that it was OK to go. Hahaha! But yeah! Fantastic little car & engine otherwise. Great engine. And reliable as possible. That's why I bought a 15 Yaris SE. Specifically, for the engine and the decades of reliable service it will provide to me. Don't know of any other at that price point that is that durable. I've got this engine in a 2000 toyota echo with the 5 speed transmission and its been the most reliable engine I've ever owned having the car for 6 years now even with 182,000 miles it's still peppy when you Rev it out. I have a 2010 3-door automatic 95K on ir and I don't notice a throttle lag, at least not to the extreme of my 2004 F150 4.6 w/AT and 4x4. I do know my traction control does limit first gear power output, I put some Altimax Arctic on 14" echo wheels and can push snow with the front bumper! In 95K I have done dozens of oil changes, put a HVAC fan, and a set of front brakes, 4 new spark plugs, an alternator belt, couple of air filters and a new set of summer tires. The only thing NOT a routine maint item was the HVAC fan, and it was like 60 bucks...Yaris = SIMPLE, Reliable, and inexpensive to maintain. I will buy another if/when this one wears out! So these cars have iron cylinder liners? Do they burn any oil? Yes they have iron liners, I do not know anyone burning oil...At least not like older Corollas and Camrys. Since the American market doesn't penalize engines with a comparatively larger displacement like it's done nearly elsewhere, and this engine caters to no-frills models for which the ease of servicing and the suitability to lower-grade fuel and oil become valuable assets, the 1NZ-FE is likely to remain available as long as it meets the emission standards. BTW some of the downsized engines fitted to models from other manufacturers are now having issues with NOx and even PM emissions which used to be a Diesel issue. My buddy has a 2007 Yaris with 440k miles, as his daily driver. It does but a lot of oil, but we can’t figure out where it’s going. No oil leaks, or strawberry milkshake. No black smoke from the exhaust either. I am still driving toyota sedan powered by the 1NZ-FE engine mated to 5 speed forward manual transmission system. It has covered 220,000km during its service time of almost 11.5 years. Confident of more good years with this arrangement. I've upgraded lubrication oil for 1NZ FE from 5W40 to 0W30. It passed its mandatory vehicle inspection with a lower noise emission. I almost fainted. The optimal point of aerodynamic drag plus rolling resistance vs gearing-efficiency vs engine pumping loss appears to be optimal at vehicle speed of 70-80kph. Furthermore, if you are skillful with clutch manipulation plus patient acceleration, this powertrain can achieve no lesser than 20km per litre of gas. Toyota should simply continue using the 1NZFE. I'm running a scion xb with the 5spd manual.I have nearly 300,000mi on the odometer and the engine is still going strong. I did some suspension mods, a cold air intake, a piggy back ignition mod, better spark plugs, wrapped the exhaust header.... but basically nothing to the engines internals. It DOES consume about a quart of oil about 1 or 2 months but no leaks or thick smoke. The lousy catalitic converter is "not at peak efficiency" anymore either... but it still runs...strong.. It DOES take its time thinking about accelerating at low rpm but if you keep the revs above 3 grand it is a surprising engine that holds its own against many larger displacement vehicles. It makes a great first engine to learn with too. I hope it proves to be an evergreen model and continues for a long time.